Home Customer Experience Are Micro-Branches the Next Big Thing in Banking? With 81% of consumers managing their finances online, banks are increasingly having to rethink their brick and mortar strategy to meet customer expectations. Today’s consumer expects ultimate convenience with the option to bank at all times of day. They also expect lightning fast assistance when transacting or needing support. For as much as consumers can do online, there are still situations where it is necessary for customers to visit a physical location. Opening a new account or withdrawing large sums of money still require a face-to-face interaction. So, how can banks transform their branches to create an in-person experience that carries the same advantages found online? One way to merge the online and offline banking experiences is by bringing them both together in the form of a micro-branch. As the name implies, micro-branches are a type of physical bank branch that requires a much smaller footprint than the typical branch. In addition to square footage, these locations require a much smaller staff and are more reliant on kiosks or tablets to bring the digital experience to the real world. Rather than waiting in line to speak to a teller or personal banker, customers in a micro-branch can be directed to a banking kiosk or tablet that runs a powerful customer engagement solution – like SaleMove. Depending on the customer’s needs, they have the option to engage with a remote banker through the kiosk’s chat, audio, or video channels. 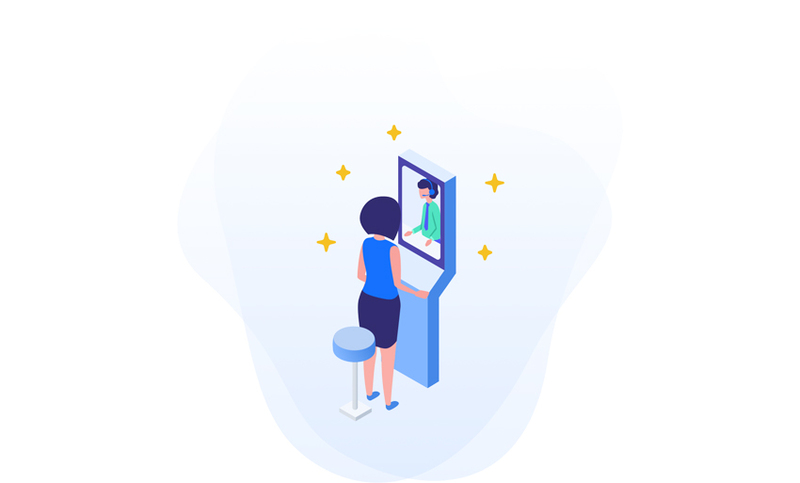 By delivering in-person banking services through kiosks in a micro-branch, banks are able to provide a better customer experience in a multitude of ways. First, leveraging remote bankers enables micro-branches to enjoy extended hours of operation. Second, the kiosk cuts down on customer wait times. Additionally, customers can build strong relationships with a single banker – regardless of which micro-branch location they choose to visit. While the concept of the micro-branch is fairly new, many of the world’s most innovative banks are already beginning to think about how and where they could fit into their customer engagement strategies. In a race to provide the best customer experience, are micro-branches the answer?